ECOSOFTT offers can building owners and managers with comprehensive and integrated assessment of current water use and recommendations that will enhance water sustainability and generate economic savings. Water Audit is a systematic approach to identify, measure, monitor & reduce the water consumption by various activities in the Industry or Community. A Comprehensive study of Total water Circuit with an objective to enhance the efficiency ( Quality as well as Quantity) of the entire circuit is performed by industry experts with high qualifications and enormous experience. A detailed report alongwith detailed recommendations is submitted at the end of the study to allow you to take a wise decision on Water Management. Being a customer-centric organization we are actively participating in offering Water Audit Service. 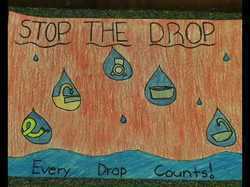 We help in effective use of water resources by laying out proper plan and design. The entire service is carried out by our highly-qualified workers within a defined time-frame. To uphold the standing we have built up in this enormously competitive industry, we are readily involved in bringing forth Water Audit Service. Extensively demanded in the market, these provided services could be accomplished form us with supremacy. In addition, our ability to deal with their altered solutions makes us a poplar market choice. We offer Qualitative Water And Energy Audits which is nothing but qualitative and quantitative analysis of water consumption to identify means of reuse and recycling of water. It enhances the efficiency of the complete water circuit. Water audit includes segregation of effluent streams and schemes for effectively treating them. Our company is a preferred choice for rendering Water Footprint and Audit Service. These are extremely admired in the market for flexibility and timely completion. 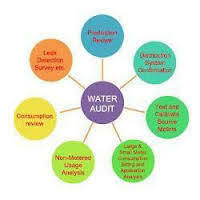 A water audit is an accounting procedure. The purpose of a water audit is to accurately determine the amount of unaccounted-for water (UAW) in a waterdistribution system. UAW is calculated from verified supply and consumption records, factoring in various estimated usage figures. We bring forth our vast industrial experience and expertise in this business, instrumental in providing Water Audit Service. To meet the variegated demands of the clients, our company is instrumental in rendering Water Audit Service.